You are here: Home / Retail Leases / What is a Waiver of Subrogation Anyway? Does anyone else share the impression that in the more than occasional discussions between negotiators about the ubiquitous “Waiver of Subrogation” provision, one or the other should be asking himself or herself – “What is a Waiver of Subrogation Anyway?” This isn’t an issue limited to Leases or even to Retail Real Estate Law or even to real estate law. Negotiations take place about Subrogation Waivers all the time, and yet there is a feeling that some people are arguing about these provisions and don’t even know what they are. So, each party’s insurance carrier has a right of subrogation and can seek to recover what it might have paid to cover its insured’s loss. The insurance carrier in question is the property insurance company because it, not the liability insurance company, pays such losses. Although, I’ll cover this below in more detail and with examples, here it is simply: You don’t need a Waiver of Subrogation in an insurance policy in order for parties to an agreement to waive claims, one against the other, or even in one direction only. But, if a party doesn’t have a waiver of subrogation in its insurance policy, its own insurance company won’t pay any claims it makes against that policy – the policy will be as if it wasn’t in force. So, if you release your claims against the other contracting party, you want to be sure that your insurance policy allows you to do so. That “permission” is the Waiver of Subrogation. Why does the “released” party care? After all, the other party can’t come after it because the other party already released its claims. And, the other party’s insurance company can’t come after it either, because it has not “claim” to take by way of subrogation. The reason is that if the insurance is invalidated, it is likely that there is no money now available to do whatever the insurance proceeds were supposed to do, like repair a fire-damaged building. Now, in more detail. If a Lease or other contract provides that each party waives any claim it might have against the other party for losses to property, then the insurance company for the party suffering the loss essentially has lost its subrogation right and can’t recover what it pay to its own insured for the loss. That’s because the property insurance carrier has no greater right to make a claim against the other party for causing the loss than its own insured had. And, its own insured already waived that right. Somehow, that doesn’t make sense. With only a business exception, the party causing a loss doesn’t need to make sure that the other party gets a Waiver of Subrogation. What it wants is a waiver of claims because if the Lease or other contract has a waiver of claims, the insurance company can’t chase the party that caused the loss. That makes it the insured’s own problem. Now, the caveat – the business exception – in the form of an example: A Tenant is not only concerned that it, itself, isn’t sued by the Landlord or the Landlord’s insurance company, it wants to see that its Landlord’s property insurance (think – fire insurance) remains in force and it doesn’t want to see that the carrier refuses to pay for repairing the building because the Landlord waived its claims against the Tenant. It want the improvements rebuilt. That’s a good reason for a Tenant to want to make sure that its Landlord’s property insurance policy has a Waiver of Subrogation. So, here is where we are. If the parties’ Lease or other agreement has a provision wherein either or both parties waives property damage claims against the other, then the parties will want to make sure that doing so doesn’t invalidate their OWN property insurance coverage. That means they will want to have a property insurance policy with a Waiver of Subrogation provision. I’m hoping this Blog entry says nothing new to the reader, but I know that most practitioners have never thought this through even though they’ve spent a lot of time arguing about Waivers of Subrogation. As always, I extend a standing invitation to be told that I’ve misspoken – either about my sense of how often this topic is misunderstood or has been argued about and especially about how right or wrong my understanding of Subrogation Waivers may be. A Landlord should be aware that if it continually gives a waiver of subrogation to its tenants, & that subsequently there are a number of claims against the Landlord’s insurer, the Landlord could then be faced with (i) a substantial increase in the Landlord’s insurance, or (ii) the cancellation of the insurance by the Landlord’s insurer. Based upon the Q.C. after Mr. Haber’s name, I presume that he is a Canadian. For some reason it is far more difficult to obtain a waiver of subrogation in Canada than in the US. Here they are extremely standard in virtually every landlord’s office lease – remember, this goes both ways, the landlord does not want to be reimbursing the tenant’s insurer for losses to its personal property. In Canada, I constantly struggle to obtain a waiver of subrogation, even from sophisticated landlords of a type that would give them in an instant in the US. The main arguments we provide when we request a waiver of subrogation are that (i) the tenant cannot insure the landlord’s building because it is not in the tenant’s care, custody and control, therefore the tenant needs this or would have to rely upon liability insurance which may not be sufficient for a signfiicant loss and is not intended to cover property damage (ii) it would be economically inefficient for every tenant in a multi-tenant facility to insure the same building, even if they could get the coverage and (iii) either directly through CAM or Operating Expense provisions or indirectly through the rent, the tenants are the ones paying for the policy and should receive some benefit for this cost. 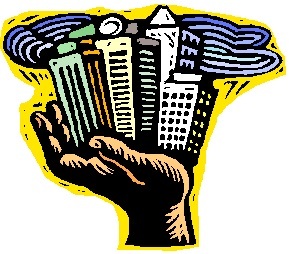 In practice I really do not think that there are enough insured incidents (especially considering the size of a typical deductible on a multi-tenant facility) that there is a true dange of policy cancellation or a significant increase in insurance cost. Even if there were an insurance cost increase, though, it would be passed on to the tenants. Ira: One statement in your article confused me a little. “That may be the way it used to work and that may be why you sometimes see convoluted language like – “you go first (get a Waiver of Subrogation in your policy) and then we’ll go (and get one in our policy).” “If you have to pay for one, we’ll pay for it.” “If you don’t get one, we won’t get one.” Why do you say that it was the was “It used to work”? Here is a version of a clause that I currently use. Thanks for the comment and for the invitation to respond. As an initial aside, the “All Risk” policy is long gone, primarily because of the confusion that such a name caused when it didn’t really cover all risks. Today, and for many years already (since 1983), what had been known as an “All-Risks” policy is known as property insurance with a “Causes of Loss – Special Form” coverage part (and sometimes as “Special Extended Coverage”). Here is something to ponder – Why would a tenant give up a waiver of claims from its landlord just because the landlord didn’t have a waiver of subrogation in its own policy? It is a tenant that burns down a building because it is the tenant that leaves the coffee pot on overnight or uses a space heater in the receiving clerk’s office. So, the landlord didn’t get the waiver in its policy and the mutual releases are gone and the landlord’s insurance company pays for the damage and sues the tenant, whose liability insurance policy doesn’t cover more than, probably, $50,000 because of what is commonly called a fire legal liability special (lower) policy limit. You can extrapolate from that example. Watch for the next Blog installment, probably on Thursday, July 21. Ira: You are correct in that the “All Risk’ designation should be updated to “Causes of Special – special Form” I knew that, just didn’t update my clause. My bad. That’s why I posted the Blog entry. As I see it, the clause you cite as an example, one of a number of similar clauses, may have made sense when Waivers of Subrogation were hard to get and when they cost money, but even then I have a problem with their logic. When traditional tort principles kick in, the tenant gets sued by the landlord’s insurance company even though the property insurance was, in effect, paid for by the tenant. And, all of that because the landlord just didn’t get a waiver. The tenant is PROTECTED by the waiver of claims. It loses that protection under your clause, not because of anything it did, but because its landlord didn’t get a Waiver of Subrogation. Why would a tenant ever NOT WANT a waiver of claims from its landlord. You can read the “story” the other way, where a landlord loses the waiver of claims because its tenant didn’t do what it was supposed to do. I use the tenant example because, as between landlords and tenants, tenants cause the fires. Wait until Thursday when I disclose the fine print from within the insurance policy.